Biglife training bookmarks are a great resource to use. 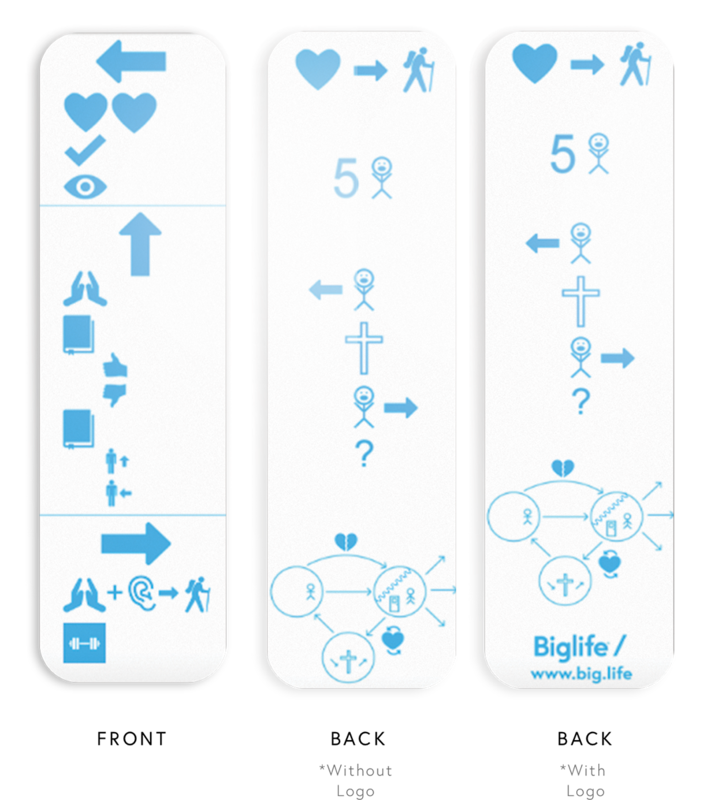 The front side is the Biglife Group meeting format. The symbols are a reminder of each part of the 3/3 discipleship meeting format. The back side is a reminder of the “Why? Who? How?” and the process Biglife uses for helping believers to share their faith with others. These bookmarks are available free of charge. Please enter your information below for us to send you some.